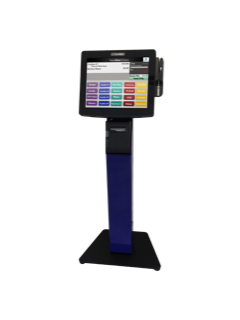 For small and independent theatre owners looking to implement self-service kiosk technology at an affordable price the LittleMate is the best solution on the market. This floor-standing unit is a fully-fledged kiosk with all the features and functionality you expect that empowers your guests to take charge of their movie-going experience right from the start. Designed to withstand constant use, the LittleMate is prepared to help you provide your guests with the latest technology so you and your team can focus on other key activities. This powerful, entry-level kiosk is capable of working with the latest Cloud- or Server-based applications from Suppliers you know and integrates with your software so guests can buy tickets, print tickets purchased online, select seats, and even order food and beverages. Plus with its emphasis on accessibility and modular approach, the LittleMate is an extremely easy kiosk to maintain.